The classic NES 8-bit platformer that started it all. 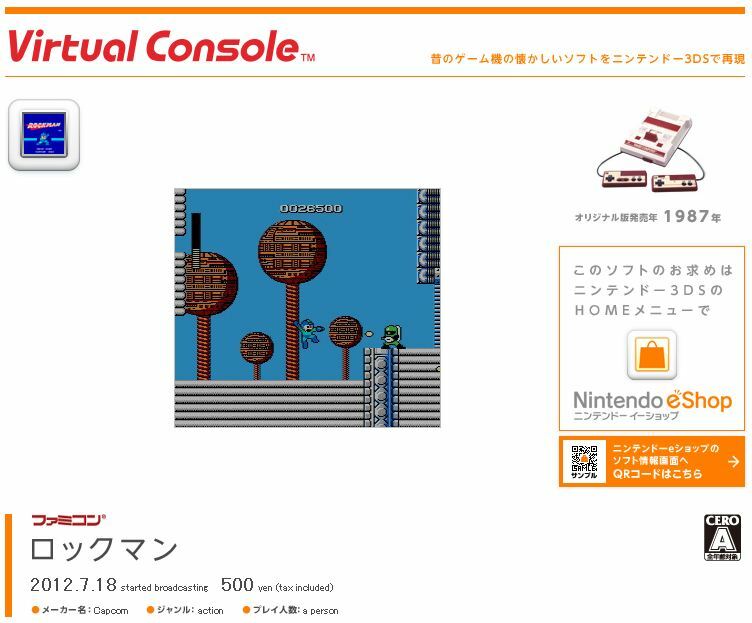 Mega Man (Rockman) will officially be landing on the Japanese 3DS Virtual Console on July 18th. Expect a US/EU announcement soon.